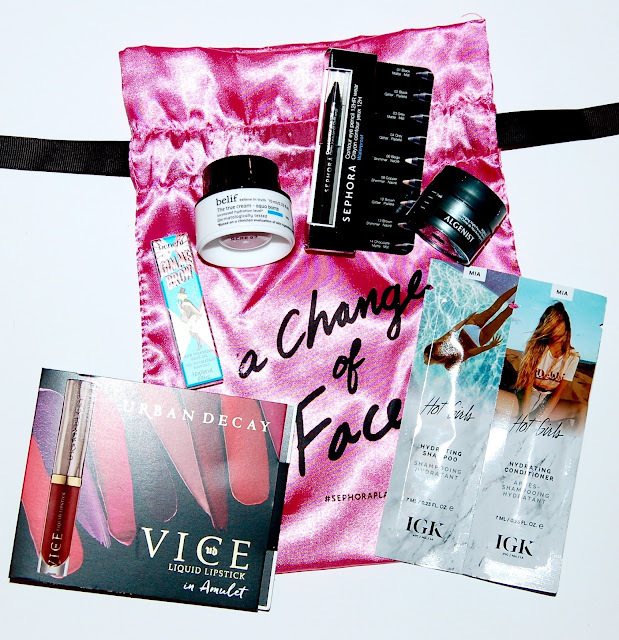 Here's what was in this month's box! This is a fiber gel eyebrow mascara. I don't need to make my eyebrows any thicker so this will be passed along to someone else. This is a 12 hour waterproof eyeliner. I have another one of these liners in blue and they quality is really great. It's creamy and long-wearing. However, I have about a million black eyeliners so I'll be passing this along as well. This is a highly concentrated solid serum that melts into the skin to smooth and visually refine dull, even complexions. I look forward to trying this. It's so interesting that it's solid! This is a refreshing gel-cream moisturizer. This feels really cooling and light on the skin. I'm glad to be able to try this product. I guess we got these sample packs instead of a perfume sample this month. I save these types of haircare samples for travel. 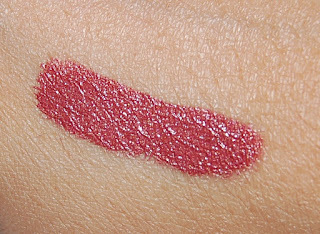 I'm so glad that I get to try an Urban Decay liquid lipstick in a wearable shade! 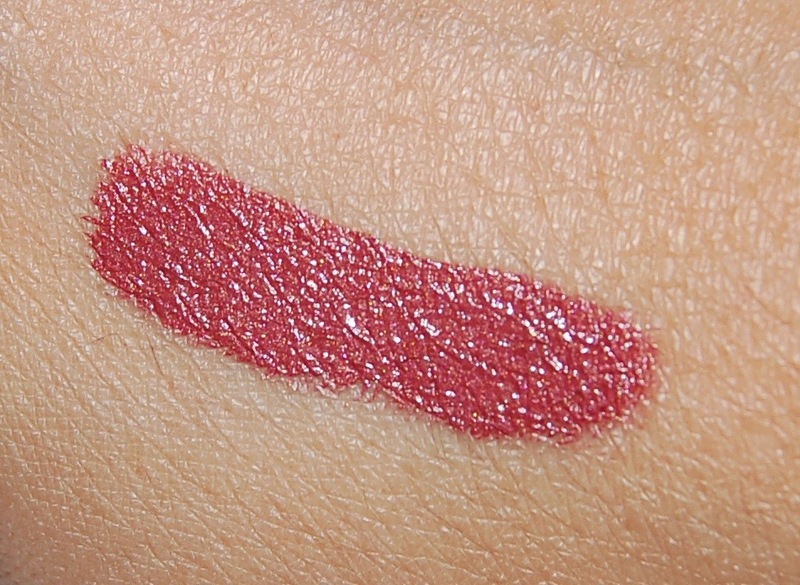 This shade is a gorgeous brick rose and the formula is a satin-matte which I would say it pretty accurate. 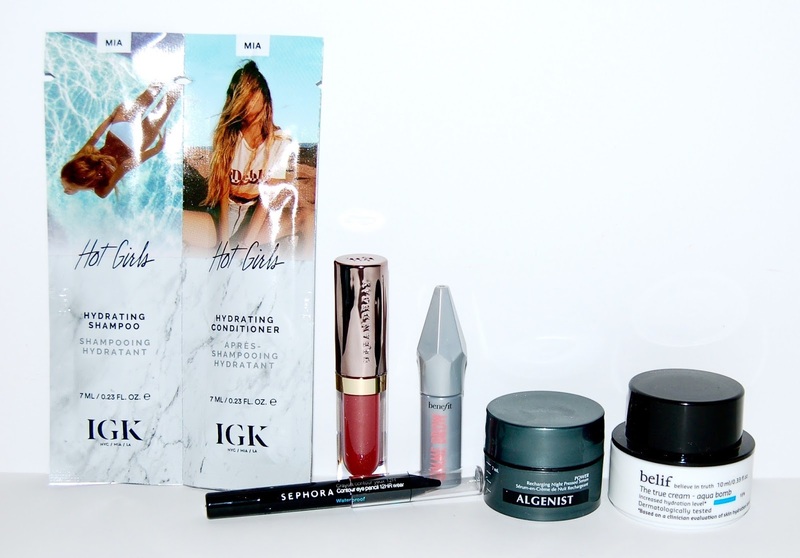 So far I'm loving the UD lipstick we got this month and I will definitely use the 2 skincare samples. I thought the box this month was decent.